There is sufficient evidence to show use fertilizer and improved seeds within the framework of ISFM can more than double crop yields and incomes of small holder farmers in most parts of sub-Saharan Africa. Key among the reasons for low impact of such technologies is limited adoption, brought about by breakdown in the flow of information from research to the farmers. The AGRA supported soil health consortia project is resolving this by empowering scientists, journalists and extension workers to communicate complex scientific information in simple language that farmers can understand and implement. As media reaches a broad range of stakeholders within a short time, when used properly it can be a key driver in technology adoption and achievement of green revolution in Africa. 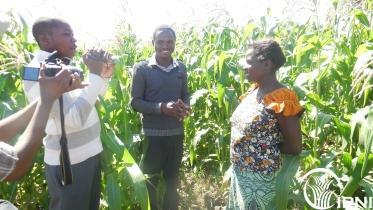 To this end, the soil health consortia of Malawi brought together a team of 15 extension workers and journalist for training on best communication strategies for optimizing uptake of 'best fit' technologies by farmers between the 23rd and 26th of June 2014. 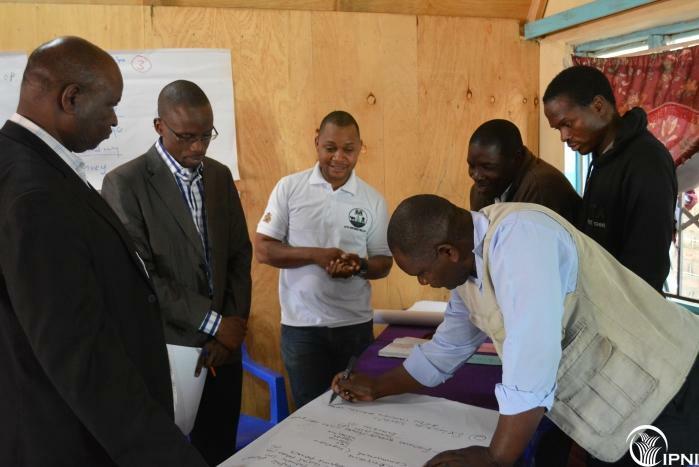 The training team comprised experts from the regional soil health consortia of Eastern and Southern Africa (led by IPNI) and the Africa soil health consortium (coordinated by CABI) and the ministry of Agriculture, Malawi. The journalists were drawn from the civil society agriculture network of Malawi, Malawi Broadcasting Corporation (TV), Malawi news agency and communication programs in the ministry of Agriculture and Bunda University. 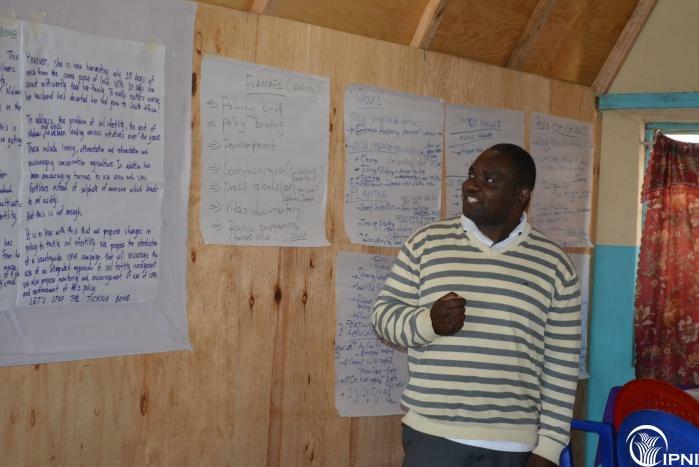 Among the issues highlighted during the training were: developing scientific stories, presenting data, researcher-extension-journalist-farmer interaction model, story board development, basic principles of video production and actual field filming. 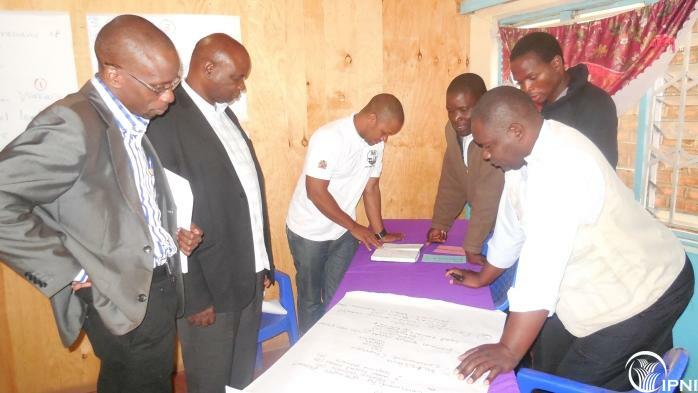 The training workshop was highly rated by the participating journalist and extension agents. Participants were in agreement that currently, agricultural reporting is not effective, as there is limited cooperation between scientists, extension agents and journalists in communicating science-based agricultural information. . While speaking to the Malawi News agency, Dr. Vernon Kabambe, a professor of Agronomy at Lunar and the coordinator of soil health consortia in Malawi and Dr. James Mutegi, a scientist at IPNI and the soil health consortia project manager expressed their enthusiasm about the project and thanked the government of Malawi for supporting the soil health consortia in driving agricultural transformation in Malawi. Read more.